Continental is in the automotive industry, specializing in brake and tyre technology, vehicle control systems, and electronic systems. They also manufacture products for machine engineering, mining, furniture, and print industries. With sales of EUR 30.5 billion in 2011, Continental is among the leading automotive suppliers worldwide. We want to make individual mobility safer, more comfortable, and more sustainable through forward-looking products and services. Continental was founded in Hanover in 1871 and is currently one of the five largest automotive suppliers in the world. As a supplier of brake systems, systems and components for powertrains and chassis, instrumentation, infotainment solutions, vehicle electronics, tires and technical elastomers, Continental contributes to enhanced driving safety and global climate protection. Continental is also an expert partner in networked automobile communication. 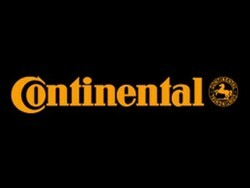 With approximately 164,000 employees in 46 countries, the Continental Corporation is divided into the Automotive Group and the Rubber Group, and consits of five divisions  Chassis & Safety, Powertrain, Interior, Tires, and ContiTech. After a three year lean period Continental has paid dividends in each of the past two years and is set to pay a dividend of 225 euro cents for 2012.